World of Kids Academy fosters and encourages staff to “grow” as educators and childcare professionals. We are very proud of our staff and appreciate their dedication and hard work. You will too! 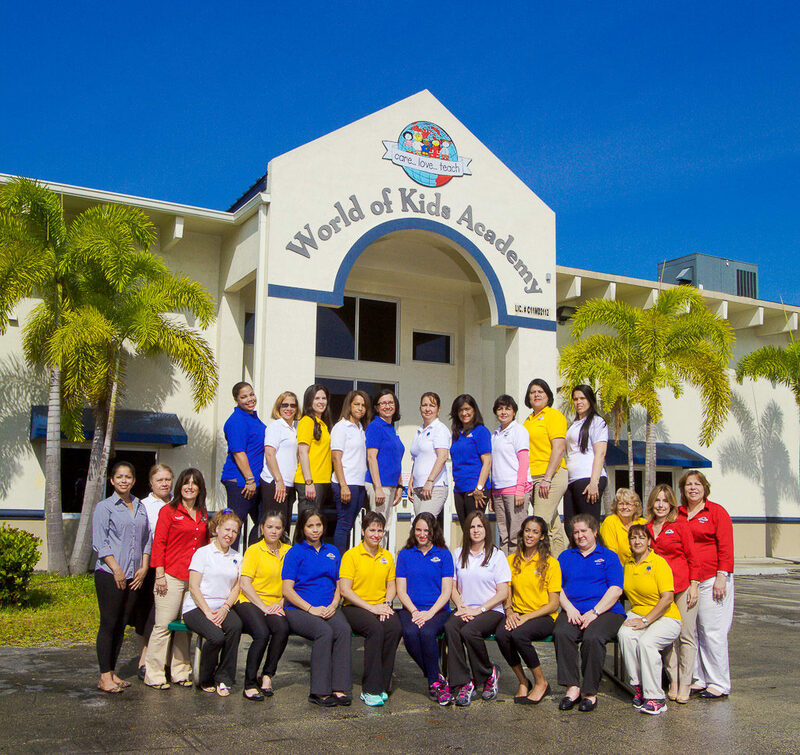 The staff at World of Kids Academy are well trained and exceed minimum requirements for teaching and childcare. • Our teachers have college degrees (Associate and/or Bachelors). • Most of our teachers have a (FCCPC) Florida Childcare Professional Certificate. • Some have director credentials. • Several are currently working on their Bachelor degrees in education. All teachers are required to participate in 25 to 30 hours of additional annual training and must be certified in CPR/first aid. Teachers also attend various training conferences for Applebaum, Pear Institute and FACCM/NAC on an annual basis.